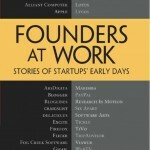 “Founders at Work” consists of 32 interviews with founders of famous technology companies such as Paypal, Apple, Lotus, Yahoo, TiVo, del.icio.us, craigslist, Flickr, Adobe etc. 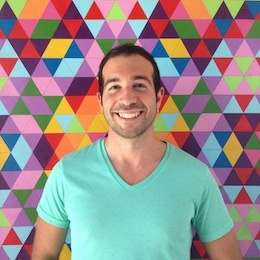 It’s about stories of startups’ early days, and contains valuable advice not only for people starting companies, but for everyone in technology business. It’s a great resource for learning about what the founders have been through, and how they transformed their ideas into successful companies. Practice makes perfect: Either they have built similar products before, or had these ideas for years. When you get it right is only after you do it several times or develop that idea over time. Change is inevitable: Their product or business model changes a lot during the course of building it. Either the end product is a small part of what they initially thought they’d build, or the business model they had in mind doesn’t work and they try a completely different one. Focus on the future: They start at time when a new technology (computers or internet) is about to take off, or when a business opportunity does not exist yet. Solve your own problems: They get inspired by their own problems, things that bug them. Overall, companies with interesting ideas had more interesting stories to tell. I highly recommend reading this book!